Want to keep your trees safe, healthy and strong but do not know how? 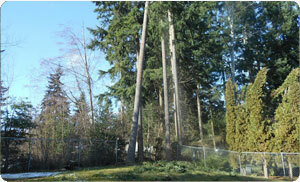 Hiring an arborist for your Edgewood, WA area trees may be a good decision. Hunter's Tree Services is a certified arborist providing tree care for home and business owners since 1986. Beautiful and healthy trees are not only good for the planet but also add to the aesthetics of your home and prove to be good investments. Taking care of trees is not as easy as most people think. As a certified arborist we know the right pruning methods, time and signs to detect diseases, verify overall health, and to assess their safety. Trust us as your local arborist and consult with us about the best tree types to plant on your property. It is important to plant the right tree in the right soil and location. A wrongly placed tree deprived of growth could lead to future problems arising from limited sunshine and space. Tree planting and tree care need special skills and equipment. As trained and certified arborist we know the correct planting procedures and overall care to ensure strong and healthy mature trees. A certified arborist will ensure your trees get what is best for their growth and maintenance with timely pruning, proper light access, and beautiful shape. Do not let your urban trees become a problem for you. Call us to speak with an arborist to give the right solutions and relieve you from the stress. For an experienced arborist in the Edgewood area, call Hunter's Tree Services at (253) 777-1938. 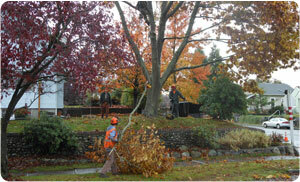 As a certified arborist, we offer professional services to promote the health and safety of trees and shrubs.